Drifting dust burying farm abandoned farm equipment in 1935. Image courtesy of NOAA. Could the storms that once engulfed the Great Plains in clouds of black dust in the 1930’s once again wreak havoc in the U.S.? A new statistical model developed by researchers at Princeton University and the National Oceanic and Atmospheric Administration (NOAA)’s Geophysical Fluid Dynamics Laboratory (GFDL) predicts that climate change will amplify dust activity in parts of the U.S. in the latter half of the 21st century, which may lead to the increased frequency of spectacular dust storms that have far-reaching impacts on public health and infrastructure. “Few existing climate models have captured the magnitude and variability of dust across North America,” said Bing Pu, the study’s lead author and an associate research scholar in the Program in Atmospheric and Oceanic Sciences (AOS), a collaboration between Princeton and GFDL. Dust storms happen when wind blows soil particles into the atmosphere. Dust storms are most frequent and destructive in arid climates with loose soil — especially on lands affected by drought and deforestation. Certain regions of the U.S., such as the southwestern deserts and the central plains, are dust-prone. Most importantly, existing climate models predict “unprecedented” dry conditions in the late-21st century due to an increase in greenhouse gases in these very areas. It is this “perfect storm” of geography and predicted drought and drought-like conditions that led Pu and her colleague Paul Ginoux, a physical scientist at GFDL, to examine the influence of climate change on dust. They analyzed satellite data about the frequency of dust events and the land’s leafy green coverage over the contiguous U.S., as well as precipitation and surface wind speed, and reported that climate change will increase dust activity in the southern Great Plains from spring to fall in the late half of the 21st century due to reduced rainfall, increased land surface bareness and increased surface wind speed. Conversely, they predicted reduced dust activity in the northern Great Plains in spring during the same time period due to increased precipitation and increased surface vegetation. Although it is still unclear if rising temperatures themselves trigger the release of yet more dust into the atmosphere, this research offers a glimpse of what the future might hold. “This is an early attempt to project future changes in dust activity in parts of the United States caused by increasing greenhouse gases,” Pu said. Nonetheless, these findings are important given the huge economic and health consequences of severe dust storms, as they can disrupt public transportation systems and trigger respiratory disease epidemics. “Our specific projections may provide an early warning on erosion control, and help improve risk management and resource planning,” she said. The paper, “Projection of American dustiness in the late 21st century due to climate change,” was published July 17, 2017 in the journal Scientific Reports (doi 10.1038/s41598-017-05431-9 ) and is available online. This research was supported by NOAA, Princeton University’s Cooperative Institute for Climate Science, and NASA grantNNH14ZDA001N-ACMAP. Read more about the research in this GFDL Research Highlight. Terrestrial rainfall in the subtropics — including the southeastern United States — may not decline in response to increased greenhouse gases as much as it could over oceans, according to a study from Princeton University and the University of Miami (UM). The study challenges previous projections of how dry subtropical regions could become in the future, and it suggests that the impact of decreased rainfall on people living in these regions could be less severe than initially thought. 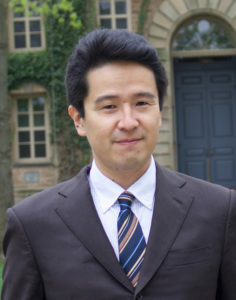 “The lack of rainfall decline over subtropical land is caused by the fact that land will warm much faster than the ocean in the future — a mechanism that has been overlooked in previous studies about subtropical precipitation change,” said first author Jie He, a postdoctoral research associate in Princeton’s Program in Atmospheric and Oceanic Sciences who works at the National Oceanic and Atmospheric Administration’s Geophysical Fluid Dynamics Laboratory located on Princeton’s Forrestal Campus. In the new study, published in the journal Nature Climate Change, He and co-author Brian Soden, a UM professor of atmospheric sciences, used an ensemble of climate models to show that rainfall decreases occur faster than global warming, and therefore another mechanism must be at play. They found that direct heating from increasing greenhouse gases is causing the land to warm faster than the ocean. The associated changes in atmospheric circulation are thus driving rainfall decline over the oceans rather than land. Subtropical rainfall changes have been previously attributed to two mechanisms related to global warming: greater moisture content in air that is transported away from the subtropics, and a pole-ward shift in air circulation. While both mechanisms are present, this study shows that neither one is responsible for a decline in rainfall. He is supported by the Visiting Scientist Program at the department of Atmospheric and Oceanic Science, Princeton University. 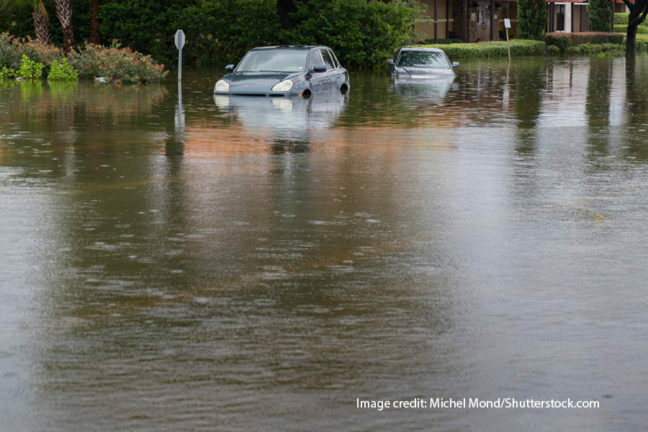 The study, “A re-examination of the projected subtropical precipitation decline,” was published in the Nov. 14 issue of the journal Nature Climate Change. Princeton University researchers used ice cores collected in Greenland (pictured here) and Antarctica to study 800,000 years of atmospheric oxygen. Image source: Stolper, et al. 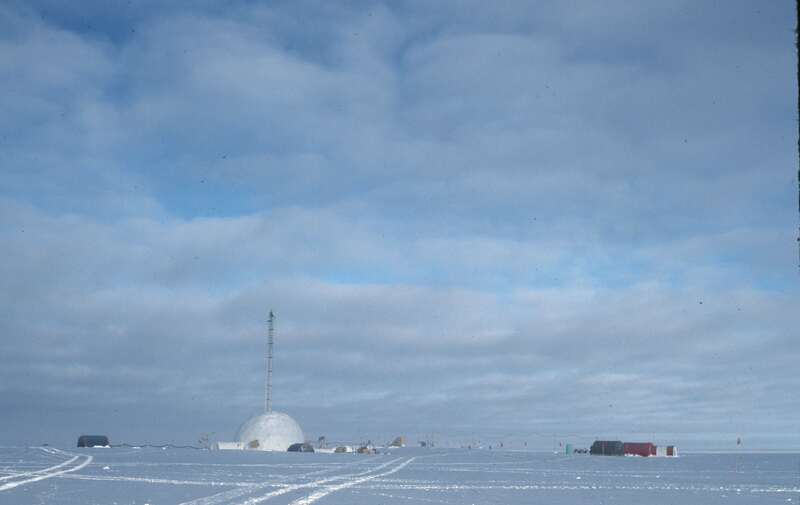 Princeton University researchers have compiled 30 years of data to construct the first ice core-based record of atmospheric oxygen concentrations spanning the past 800,000 years, according to a paper published today in the journal Science. The record shows that atmospheric oxygen has declined 0.7 percent relative to current atmospheric-oxygen concentrations, a reasonable pace by geological standards, the researchers said. During the past 100 years, however, atmospheric oxygen has declined by a comparatively speedy 0.1 percent because of the burning of fossil fuels, which consumes oxygen and produces carbon dioxide. Curiously, the decline in atmospheric oxygen over the past 800,000 years was not accompanied by any significant increase in the average amount of carbon dioxide in the atmosphere, though carbon dioxide concentrations do vary over individual ice age cycles. 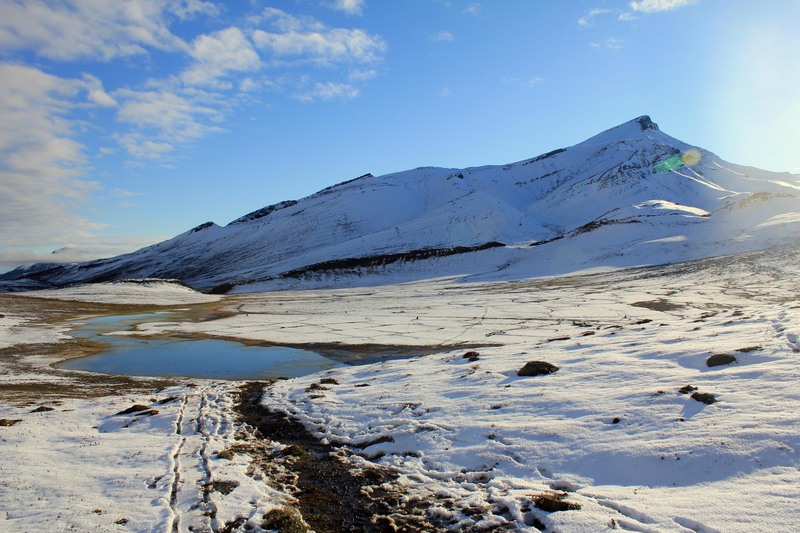 To explain this apparent paradox, the researchers called upon a theory for how the global carbon cycle, atmospheric carbon dioxide and Earth’s temperature are linked on geologic timescales. “The planet has various processes that can keep carbon dioxide levels in check,” said first author Daniel Stolper, a postdoctoral research associate in Princeton’s Department of Geosciences. 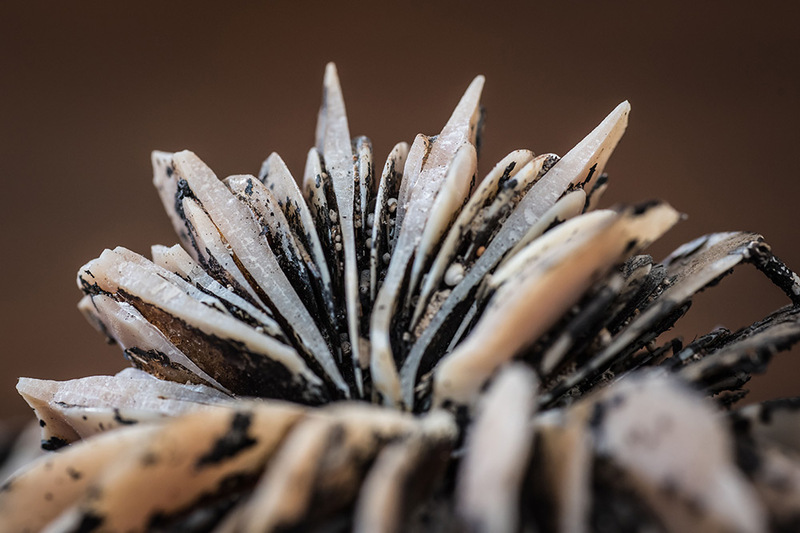 The researchers discuss a process known as silicate weathering in particular, wherein carbon dioxide reacts with exposed rock to produce, eventually, calcium carbonate minerals, which trap carbon dioxide in a solid form. As temperatures rise due to higher carbon dioxide in the atmosphere, silicate-weathering rates are hypothesized to increase and remove carbon dioxide from the atmosphere faster. 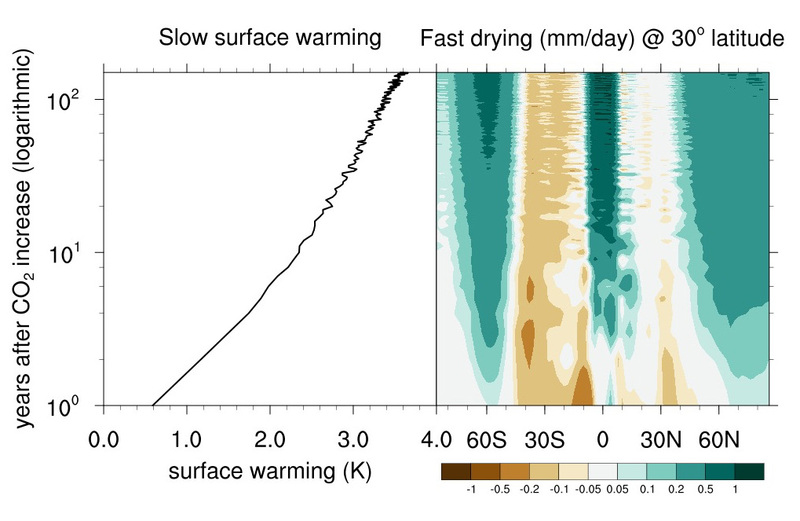 Stolper and his co-authors suggest that the extra carbon dioxide emitted due to declining oxygen concentrations in the atmosphere stimulated silicate weathering, which stabilized carbon dioxide but allowed oxygen to continue to decline. “The oxygen record is telling us there’s also a change in the amount of carbon dioxide [that was created when oxygen was removed] entering the atmosphere and ocean,” said co-author John Higgins, Princeton assistant professor of geosciences. “However, atmospheric carbon dioxide levels aren’t changing because the Earth has had time to respond via increased silicate-weathering rates. The researchers built their history of atmospheric oxygen using measured ratios of oxygen-to-nitrogen found in air trapped in Antarctic ice. This method was established by co-author Michael Bender, professor of geosciences, emeritus, at Princeton. Because oxygen is critical to many forms of life and geochemical processes, numerous models and indirect proxies for the oxygen content in the atmosphere have been developed over the years, but there was no consensus on whether oxygen concentrations were rising, falling or flat during the past million years (and before fossil fuel burning). 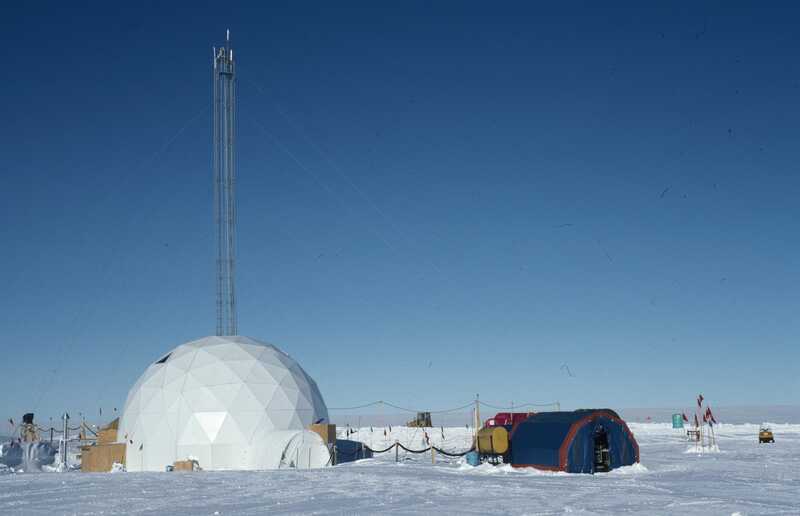 The Princeton team analyzed the ice-core data to create a single account of how atmospheric oxygen has changed during the past 800,000 years. 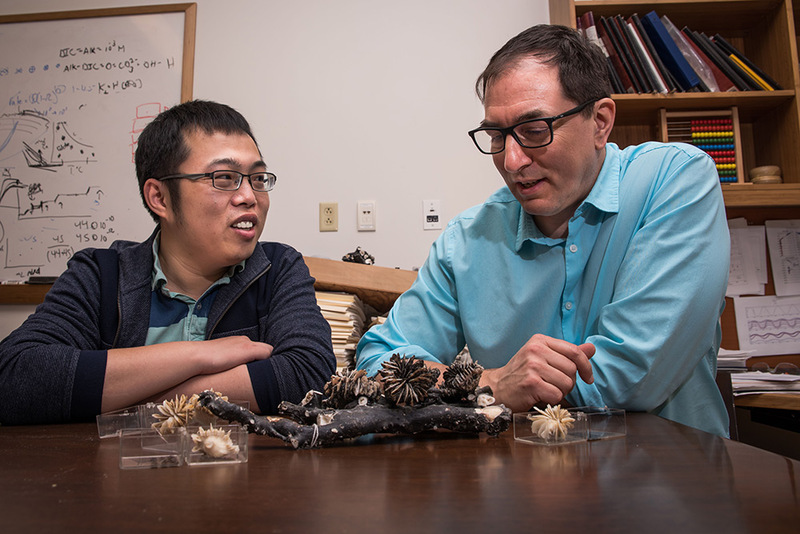 The work was supported by a National Oceanic and Atmospheric Administration Climate and Global Change postdoctoral fellowship, and the National Science Foundation (grant no. ANT-1443263). In 2011, an influx of remote sensing data from satellites scanning the African savannas revealed a mystery: these rolling grasslands, with their heavy rainfalls and spells of drought, were home to significantly fewer trees than researchers had previously expected given the biome’s high annual precipitation. 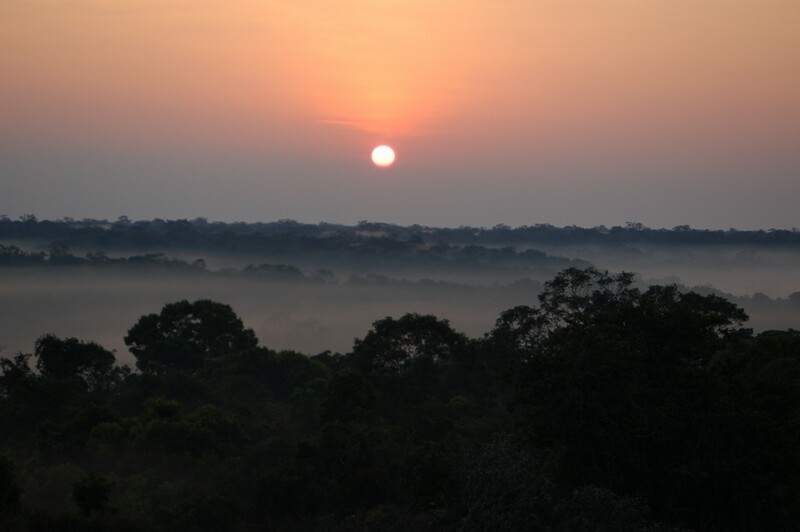 In fact, the 2011 study found that the more instances of heavy rainfall a savanna received, the fewer trees it had. This paradox may finally have a solution due to new work from Princeton University recently published in the Proceeding of the National Academy of Sciences. In the study, researchers use mathematical equations to show that physiological differences between trees and grasses are enough to explain the curious phenomenon. “A simple way to view this is to think of rainfall as annual income,” said Xiangtao Xu, a doctoral candidate in David Medvigy’s lab and first author on the paper. “Trees and grasses are competing over the amount of money the savanna gets every year and it matters how they use their funds.” Xu explained that when the bank is full and there is a lot of rain, the grasses, which build relatively cheap structures, thrive. When there is a deficit, the trees suffer less than grasses and therefore win out. 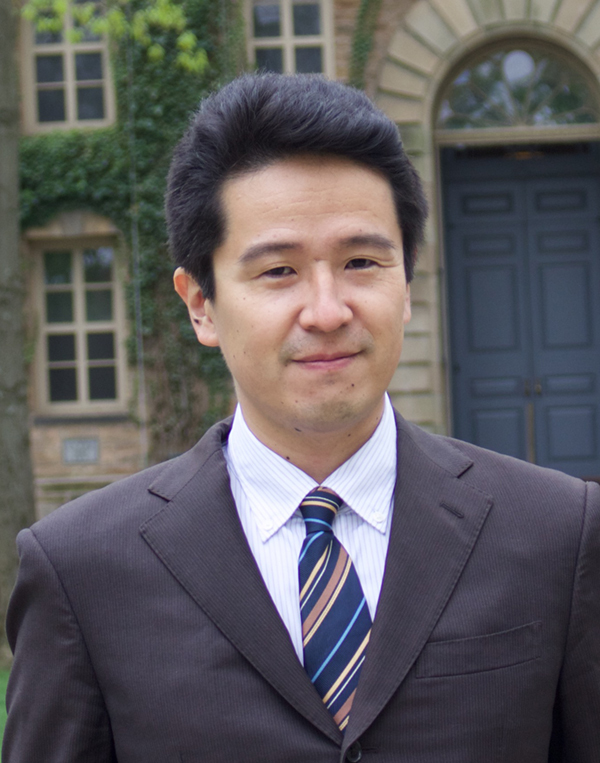 To establish these findings, Xu and his Princeton collaborators Medvigy, assistant professor in geosciences, and Ignacio Rodriguez-Iturbe, professor of civil and environmental engineering, created a numerical model that mimics the actual mechanistic functions of the trees and grasses. “We put in equations for how they photosynthesize, how they absorb water, how they steal water from each other—and then we coupled it all with a stochastic rainfall generator,” said Xu. Whereas former analyses only considered total annual or monthly rainfall, understanding how rainfall is distributed across the days is critical here, Xu said, because it determines who will win in a competition between grasses and trees for the finite resource of water availability. The stochastic rainfall generator draws on rainfall parameters derived from station observations across the savanna. By coupling it with the mechanistic equations describing how the trees and grasses function, the team was able to observe how the plants would respond under different local climate conditions. The research team found that under very wet conditions, grasses have an advantage because they can quickly absorb water and support high photosynthesis rates. Trees, with their tougher leaves and roots, are able to survive better in dry periods because of their ability to withstand water stress. But this amounts to a disadvantage for trees in periods of intense rainfall, as they are comparatively less effective at utilizing the newly abundant water. “We put realistic rainfall schemes into the model, then generated corresponding grass or tree abundance, and compared the numerical results with real-world observations,” Xu said. If the model looked like the real-world data, then they could say it offered a viable explanation for the unexpected phenomenon, which is not supported by traditional models—and that is exactly what they found. They tested the model using both field measurements from a well-studied savanna in Nylsvley, South Africa and nine other sites along the Kalahari Transect, as well as remote sensing data across the whole continent. With each site, the model accurately predicted observed tree abundances in those locations. Several high profile papers over the last decade predict that periods of intense rainfall like those described in the paper will become more frequent around the globe, especially in tropical areas, Xu said. His work suggests that these global climate changes will eventually lead to diminished tree abundance on the savannas. Furthermore, the study highlights the importance of understanding the structure and pattern of rainfall, not just the total annual precipitation—which is where most research in this area has traditionally focused. Fifty years from now, a region may still experience the same overall depth of precipitation, but if the intensity has changed, that will induce changes to the abundance of grasses and trees. This, in turn, will influence the herbivores that subsist on them, and other animals in the biome — essentially, affecting the entire complex ecosystem. Xu said it would be difficult to predict whether such changes would have positive or negative impacts. But he did say that more grasses mean more support for cows and horses and other herbivores. On the other hand, fewer trees mean less CO2 is captured out of the atmosphere, as well as diminished habitat for birds and other animals that rely on the trees for survival. This work was supported by the Princeton Environmental Institute and the Andlinger Center for Energy and the Environment at Princeton University. Xiangtao Xua, David Medvigy, and Ignacio Rodriguez-Iturbe. Relation between rainfall intensity and savanna tree abundance explained by water use strategies. Published online September 29, 2015, doi: 10.1073/pnas.1517382112. PNAS October 5, 2015. Toward the end of this century (project here for the years 2068 to 2098) the possibility of storm surges of eight to 11 meters (26 to 36 feet) increases significantly in cities not usually expected to be vulnerable to tropical storms, such as Tampa, Florida, according to recent research in the journal Nature Climate Change. Researchers at Princeton and MIT have used computer models to show that severe tropical cyclones could hit a number of coastal cities worldwide that are widely seen as unthreatened by such powerful storms. The researchers call these potentially devastating storms Gray Swans in comparison with the term Black Swan, which has come to mean truly unpredicted events that have a major impact. Gray Swans are highly unlikely, the researchers said, but they can be predicted with a degree of confidence. In an article published Aug. 31 in Nature Climate Change, Lin and her coauthor Kerry Emanuel, a professor of atmospheric science at the Massachusetts Institute of Technology, examined potential storm hazards for three cities: Tampa, Fla.; Cairns, Australia; and Dubai, United Arab Emirates. The researchers concluded that powerful storms could generate dangerous storm surge waters in all three cities. They estimated the levels of devastating storm surges occurring in these cities with odds of 1 in 10,000 in an average year, under current climate conditions. Tampa Bay, for example, has experienced very few extremely damaging hurricanes in its history, the researchers said. The city, which lies on the central-west coast of Florida, was hit by major hurricanes in 1848 and in 1921. 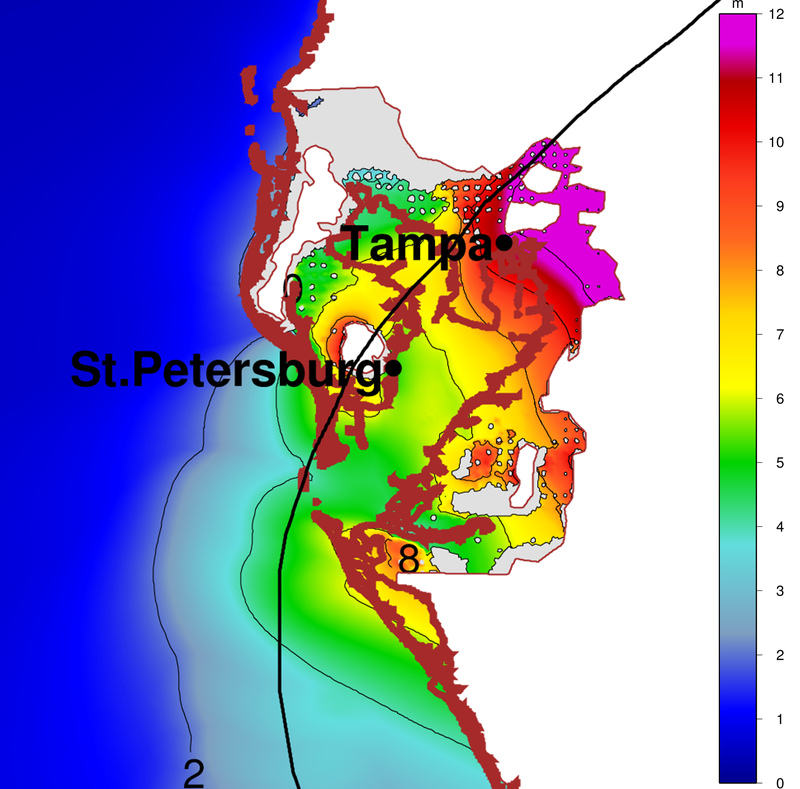 The researchers entered Tampa Bay area climate data recorded between 1980 and 2005 into their model and ran 7,000 simulated hurricanes in the area. They concluded that, although unlikely, a Gray Swan storm could bring surges of up to roughly six meters (18 feet) to the Tampa Bay area. That level of storm surge could dwarf those of the storms of 1848 and 1921, which reached about 4.6 meters and 3.5 meters respectively. The researchers said their model also indicates that the probability of such storms will increase as the climate changes. “With climate change, these probabilities can increase significantly over the 21st century,” the researchers said. In Tampa, the current storm surge likelihood of 1 in 10,000 is projected to increase to between 1 in 3,000 and 1 in 1,100 by mid-century and between 1 in 2,500 and 1 in 700 by the end of the century. 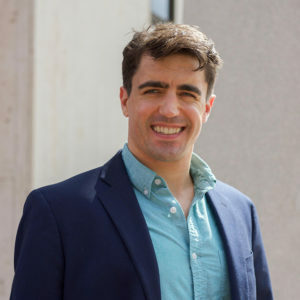 The work was supported in part by Princeton’s Project X Fund, the Andlinger Center for Energy and the Environment’s Innovation Fund, and the National Science Foundation.